Produced in partnership between Tourism and Events Queensland (TEQ) and Gladstone Area Promotion and Development Limited (GAPDL), the 90-second video is a compelling local invitation to ‘learn and grow’ while visiting the Gladstone region. “Locals play such a powerful role in engaging with travellers and helping them experience a destination in a more authentic way,” Ms Coddington said. 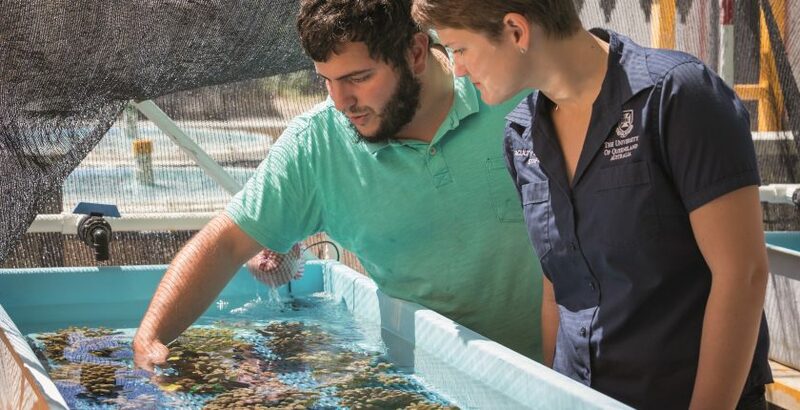 “Lauren’s enthusiasm for Heron Island shines through in this video, where she also highlights how visitors can get a first-hand perspective of the Great Barrier Reef through the island’s research station. “As Lauren says in the video – being able to gain an appreciation and passion for the reef is key to us looking after it in the future by becoming global ambassadors – and I couldn’t agree more, this is such a special experience. “Heron Island is a treasured part of the Gladstone Region, and Lauren’s insights are just a few of the reasons why it’s loved by locals and international guests alike,” GAPDL’s CEO Darryl Branthwaite said. Lauren’s local invitation video is being promoted together with series of destination blogs targeted to families, empty nesters and ‘SINKs and DINKs’* in Brisbane, South East Queensland, Sydney and Melbourne over the next fortnight in a joint campaign funded by TEQ and GAPDL.